Step 1. 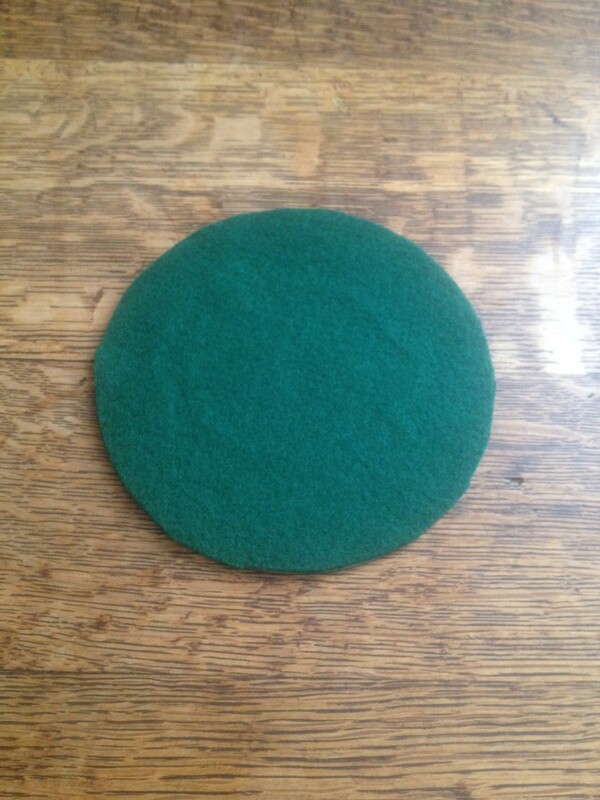 Cut a piece of felt in the shape of a CD. Step 2. 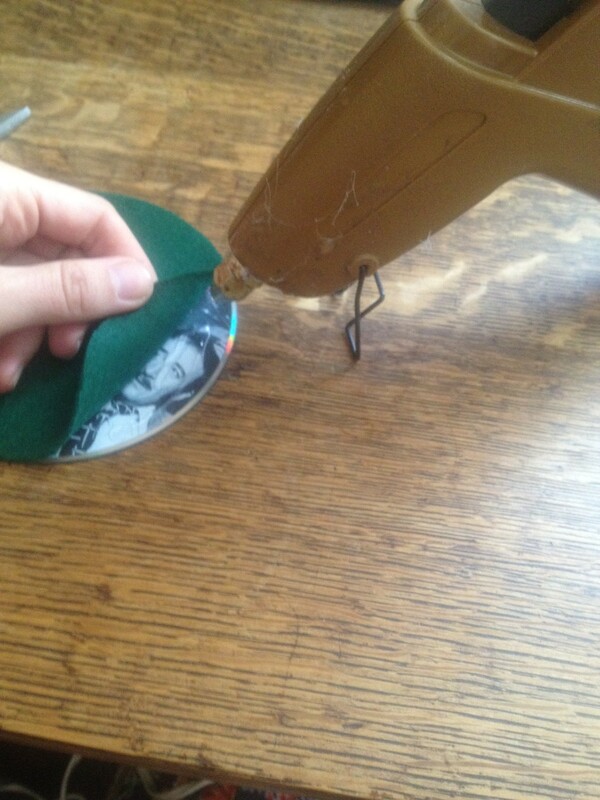 Hot glue the felt to the picture side of the CD. Step 3. 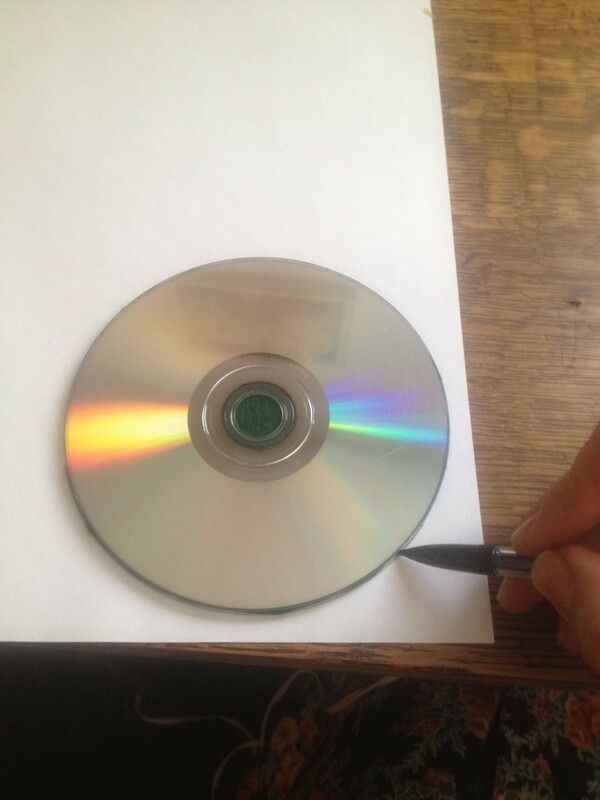 Trace around the CD on the back side of a piece of patterned paper. Step 4. 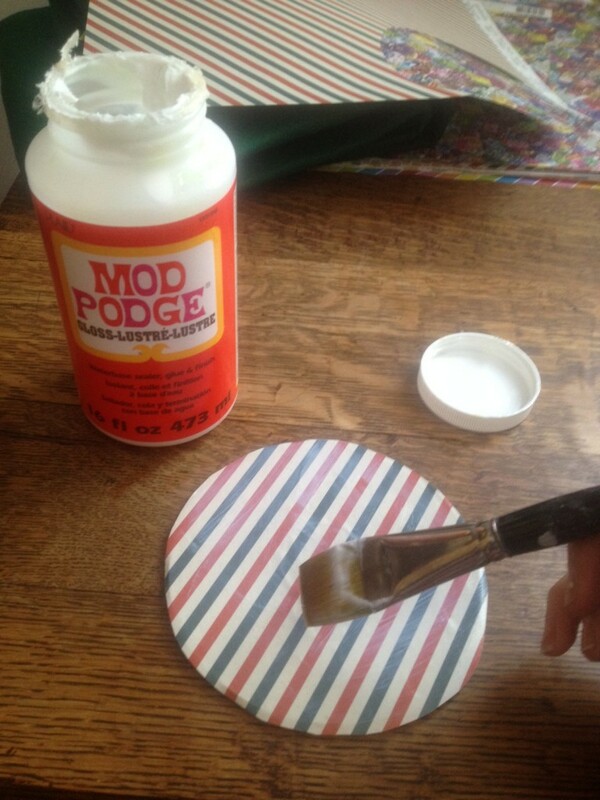 Flip the CD over and paint a thin layer of Mod Podge. Step 5. 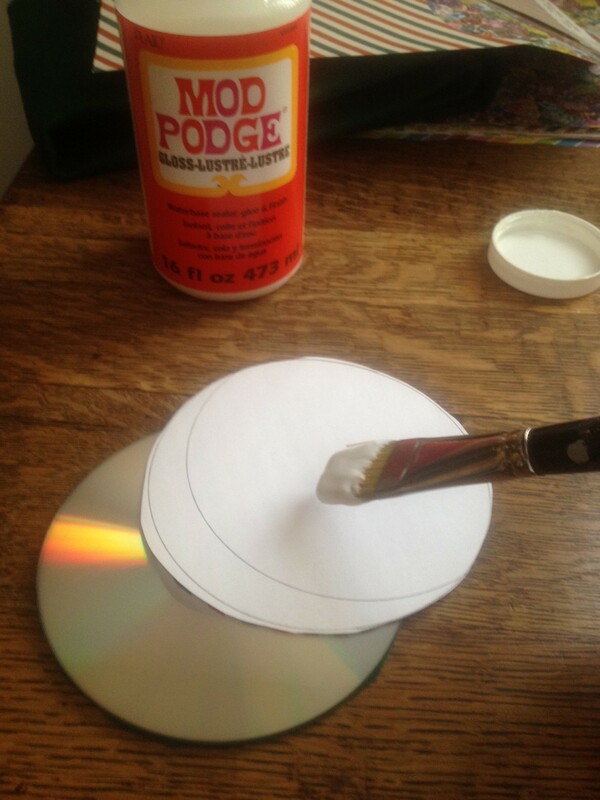 Place paper on shiny side of the CD and paint another layer of Mod Podge on top. 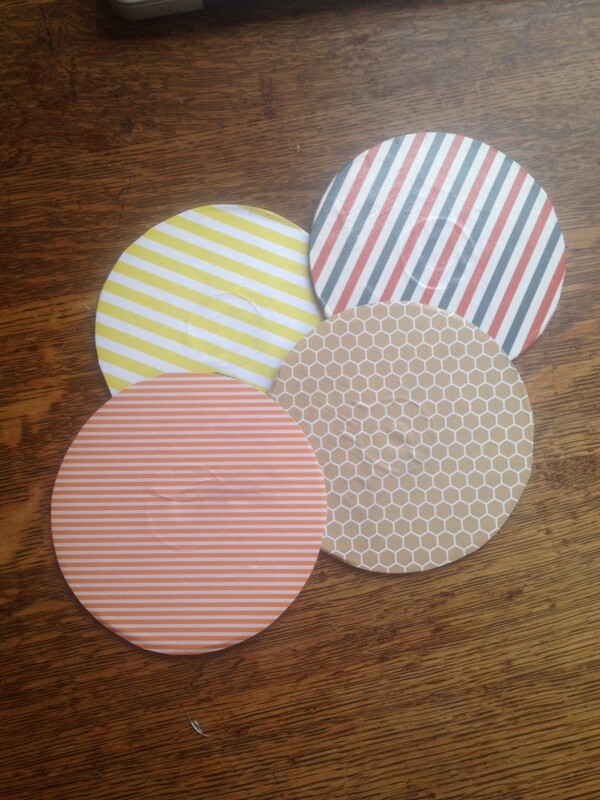 Repeat with different pattered paper until you have a personalized set of coasters. We told you it was simple! If you like the idea of repurposing CDs, check out our CD Suncatcher and Fishy Fun tutorials or our roundup of ideas to repurpose CDs. 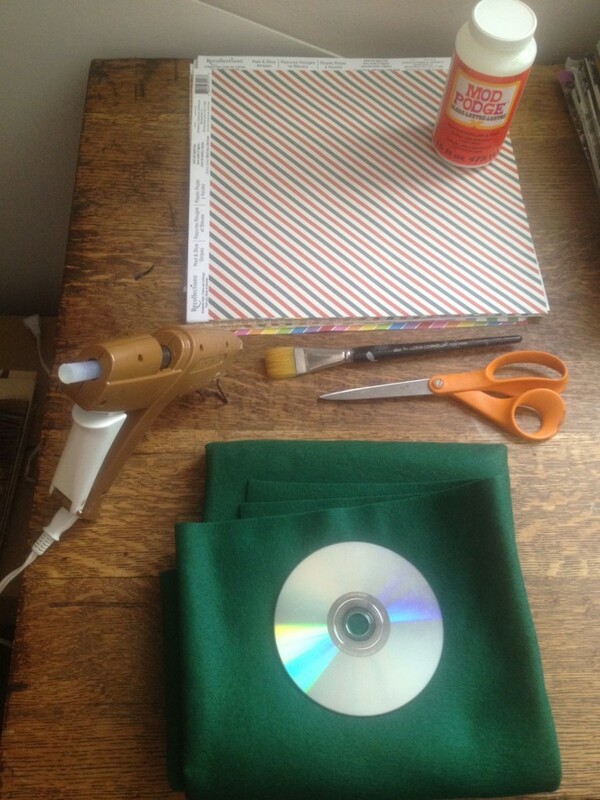 We know you are planet conscious so be sure to leave your recycled craft ideas in the comment section. Happy Earth Month!